Enjoying a nice outdoor time on a hammock is something that most people would love especially during the weekends. A number of options exist when it comes to hanging your hammock; it can either be indoors or outdoors. It is important that you get to securely hang the hammock and avoid ending up falling from it. Falling from a height will always lead to injuries; it is the reason we have to get it right when it comes to how to hang a hammock with a rope. 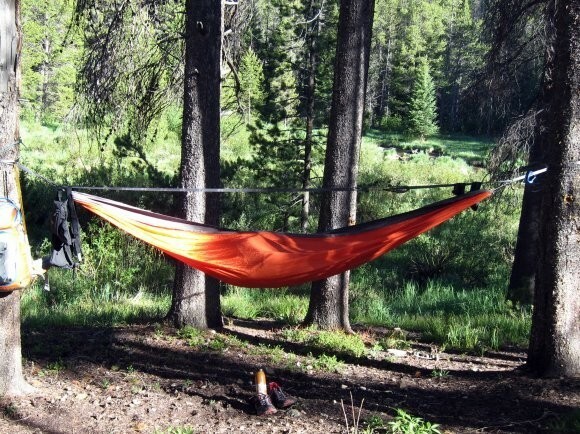 ​The hammock is something that is often quite easy to use as you can move with it from one place to another with ease. You have to make sure that you get to position the hammock correctly so that you get a reasonable arc. Having a hammock that is too low or too high would make you not to realize the potential of the hammock. 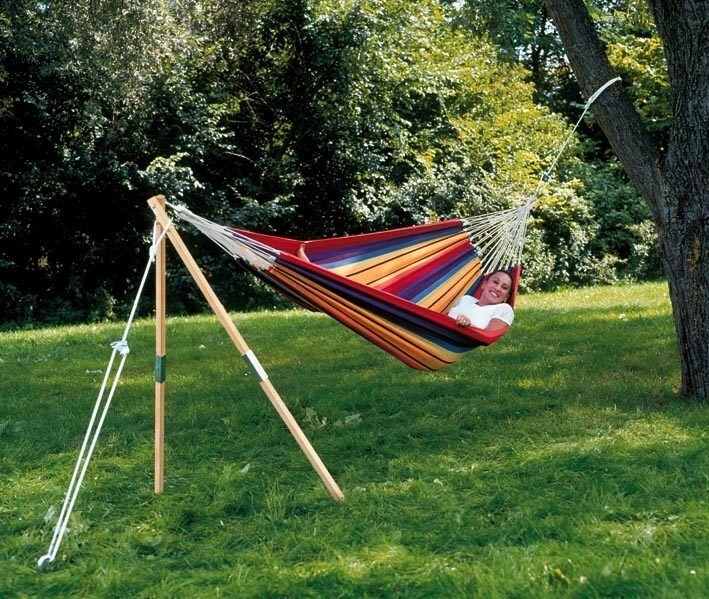 As an ideal way of hanging the hammock, the handles should be approximately 3.5m apart. Keep the hammock at about 1.8m from the ground so that you get enough hung for the right curve. The adjustment of the mentioned figures can vary from one location to another. It depends on where you have to hang the hammock. For some people, if you are going to have a great way of ending up with the best way of hanging the hammock, a strong surface is needed. Having brickwork or the concrete walls should be great. To support your hammock, then you will need a 16mm expansion bolt. You should easily get such from a hardware store near you. It is possible to also keep enjoying the use of a hammock by having it hanged on ceilings or wooden beams by using ropes. For these types of walls it is often something simple as compared to hanging on other types of walls. For this part, you will need a drill bit to create a hole for the welded screw eye. Once the hole is made, screw it until all the threads are into the timber. For people who are lucky to have gardens where they can enjoy a great time outdoors, then hanging the hammock in the gardens should be something fun. With your rope, there is a lot that you can accomplish when it comes to hanging the hammock. One of the places you have the hammock hanged would be between the tree trunks or branches. With a standard knot, you should easily fix the hammock on the branches keeping in mind the height and strength of the branches. 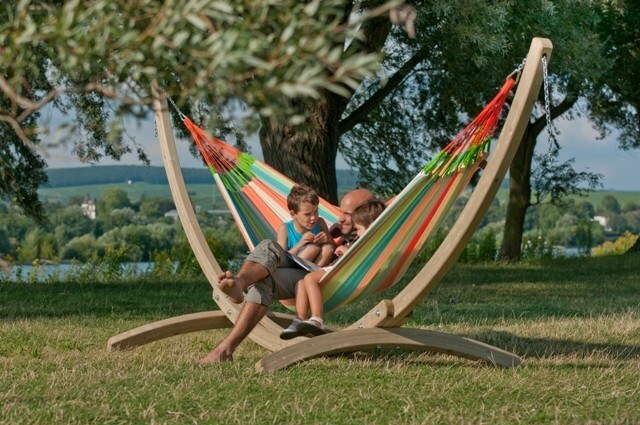 Another top option for those with a garden is to a free standing frame for holding the hammock. Yes, many companies have actually developed various types of such frames as a way of making it easy for the users to hang their hammocks. You just have to set them up in a garden and then hang the hammock with the rope.